My name is Moreno Borriero and I was born in South Africa and I moved to Italy in 1980 at the age of 19. At University, one of my fellow students was a Fly Fisherman and I was surprised to find out that you could fly fish in Italy and on top of it in Tuscany!! I satrted guiding in 2000, professionally since 2004. I am President of the local Fishing Club, I'm a River warden (bailiff) for the Lucca Province. I collaborate with a number of Fly fishing magazines like Fly Fishing Masters International Magazine. I have attended a number of international Fly Fishing Fairs as a professional Fly Tyer ( BFFI, Salon de La Peche, EWF etc). We also organize three day Fly Fishing workshops for beginners or those wishing to improve their casting and tying techniques. I am also a Bamboo (split cane) rodmaker and I have been part of IBRA - Italian Bamboo Rodmakers Association where I cove the position of Press and PR officer. I collaborate with the Bamboo Journal which is printed quarterly by IBRA. I make my rods using the best quality Tonkin Bamboo and the very best hardware I can find. 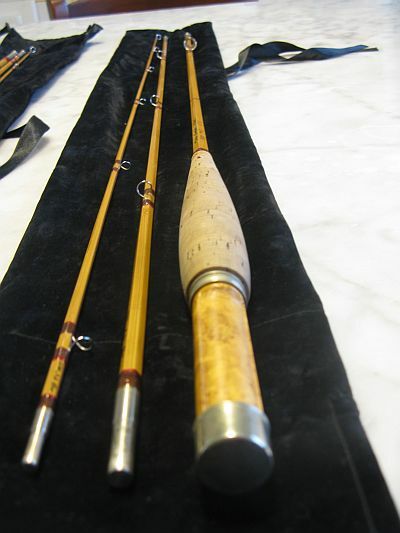 I like making rods for dry fly fishing which are best suited to our European conditions. I do however also make more progresive rods which are well liked by many Americans and the British. 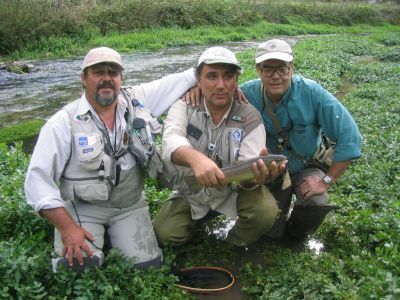 Luca Castellani (centre) in una photo taken on the Nera with famous Rodmaker Bill Harms who is also a great fisherman! 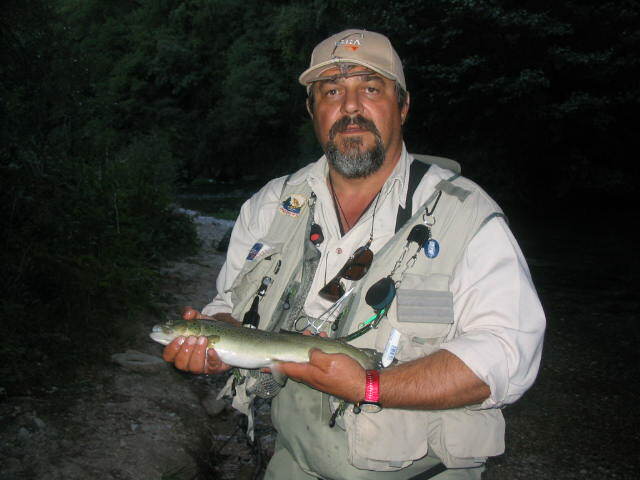 Luca Castellani was born in Perugia, Umbria in 1955 and he´s been fly fishing since the early 1980´s. Luca has been a professional guide since 2001. He writes for several fly fishing magazines and he is also a professional fly tyer. For the results achieved in fly fishing and in environmental protection programs of the river ecosystems, Luca and his fraternal friend and colleague, Mauro Raspini were proclaimed Fly Fishermen of the Year in 2007 by the most important flyfishing magazines in Italy. Luca is one of the most experienced and skilful fly fishermen in Italy and plays an important role in the Italian fly flying world.